State legislators around the country with a common goal to support the motor vehicle hobby have joined the State Automotive Enthusiast Leadership Caucus. 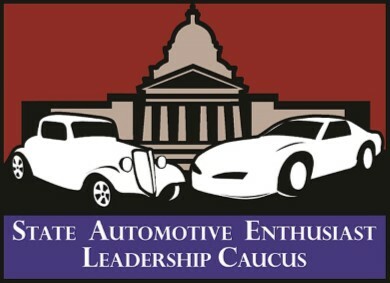 The Caucus is a nonpartisan group of state lawmakers whose common thread is a love and appreciation for automobiles. The Caucus will help raise the motor vehicle hobby’s profile in the state legislatures and in the eyes of the public. Working in state capitals, many of these legislators have sought to preserve and protect the hobby by seeking the amendment of existing motor vehicle statutes and creating new programs to safeguard and expand the hobby. Over the past several years, their work has brought a series of significant legislative accomplishments for the vehicle enthusiast community on issues ranging from equipment standards to registration classifications, and from emissions test exemptions to hobbyist rights. By joining the Caucus, these legislators have demonstrated their commitment to upholding the rights of vehicle enthusiasts. In addition, hobbyists will be able to quickly identify which state legislators have chosen to be recognized for their support of this great American hobby.